The news broke earlier today as the Edmonton Oilers fired head coach Todd McLellan and replaced him with Ken Hitchcock. The swap at the head coaching position will be the only change behind the Oilers bench, in the roster and in the front office. Captain Connor McDavid finally commented on the situation in Edmonton and knows that McLellan wasn't the only reason for the team's woes this season. McDavid maintains the entire team is responsible for those results, not just McLellan. 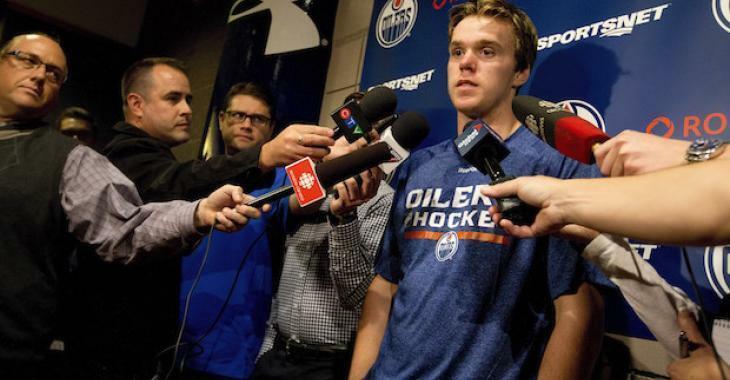 "We're all to blame here," McDavid told reporters following the crazy day in the dressing room. "This obviously isn't on Todd at all, it's on us as players and that's just how the business works sometimes. We got to wake up here." The Oilers captain did however admit that it was a change that needed to be made. "Todd was a guy that everyone liked," he said. "Ultimately, we're a team that's underachieving right now and no one likes where we're at, so the change is necessary." "Obviously he's got a tremendous record, both in the NHL and in international play," McDavid said. "He's a guy that's got lots of experience and we're looking forward to it." The Oilers sit five points out of the final wild-card spot in the Western Conference, but just three back of the Vancouver Canucks for third place in the Pacific Division. When it was time to comment on his role at this point in the season, Hitchcock did not mince his words.